The Bootstrap libraries will make creating a page layout much easier. 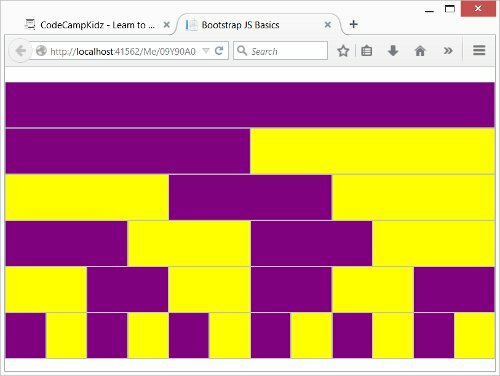 Bootstrap breaks the width of a page into 12 columns like a grid. Using their code patterns and CSS styles you will be able to take complete control over the page layout. How to Add a Style and a 1 Column Row. How to Add a Style and a 2 Column Row. How to Add a 3 Column Row. How to Add a 4 Column Row. How to Add a 6 Column Row. How to Add a 12 Column Row. You will create a custom layout design of your choosing in MS Paint then impliment the layout using the Bootstrap grid tools. You will then fill in the data cells with images, videos, etc and resize the width of the browser to see how the elements change position. Please submit a code review when you are finished.